Cuba. The name conjures up a unique tropical wonderland with a rich historical past. True to its reputation, Cuba offers white beaches and azure waters. Quaint pastel coloured homes and grand colonial cathedrals. Where else can you find fleets of mint-condition, 50s Chevies, roaring down archaic cobbled streets? Or genuine, hand-rolled Cuban cigars that set the global smoke standard? The islands greatest allure, is its people, with their welcome smiles and winning manners. You will find Cubans in the bustling open markets and restaurants, performing street musicians outside dazzling cafés and cabarets, and gyrating in colourfully-plumed dance costumes inside inky nightclubs. Needless to say, Havana is an absolute must-see with its multi-faceted art, culture and architecture that dates back to the early 1500s. 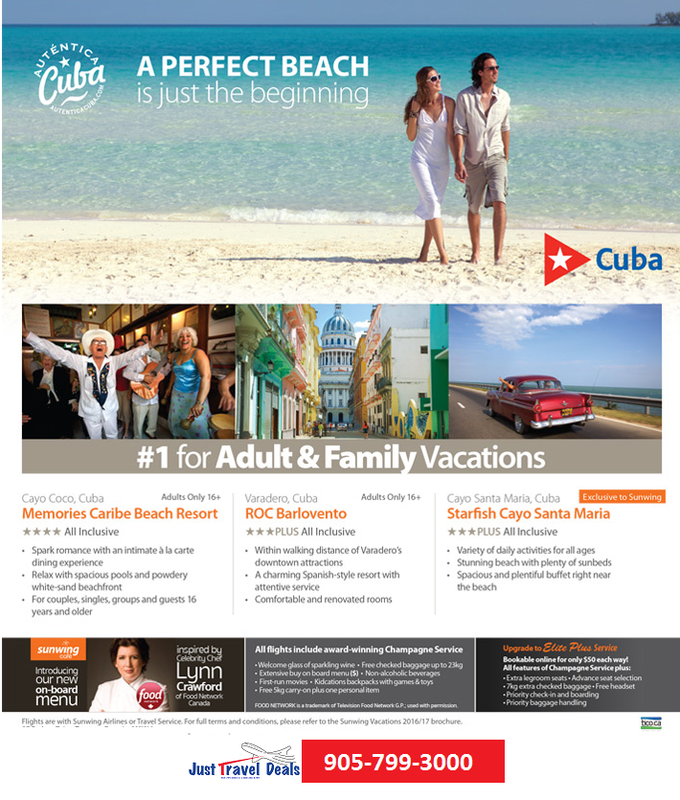 Whatever you do, youll discover that Cuba dazzles the senses with its endless offerings.